Two Accor group hotels in South Korea — Novotel Ambassador Gangnam and Sofitel Ambassador Seoul — offer special Christmas dinner menus for special Christmas memories with family, friends and someone special. The European Restaurant at Novotel Ambassador Gangnam "the bistro" presents a "Special X-mas Champagne Dinner" set for special X-mas Eve with someone special. The special dinner is prepared by the Chief Chef at the bistro and features a seven-course dinner set menus including "Grilled beef tenderloin Rossini with seared foie gras and truffle jus" plus a glass of Moet Champagne. The special dinner set is available at 80,000 won on Christmas Eve, Dec. 24. Café de Chef at Sofitel Ambassador Seoul invites guests to its special Christmas dinner with sweet candles on 24th and 25th of December. The special dinner includes a 6-course set menu including "Grill tenderloin of beef with forest mushrooms and a herbed béarnaise sauce," "Baby steamed lobster with a soy, ginger burre blanc sauce," and a glass of Moet Champagne will be added for the romantic Christmas night. 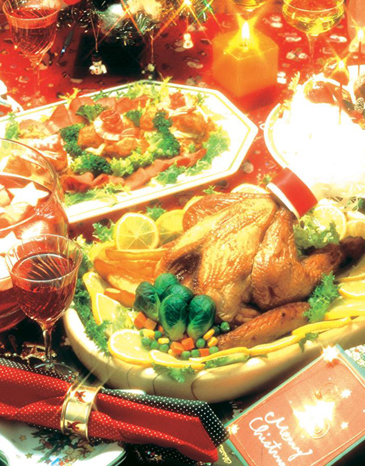 With the romantic candlelight, enjoy the special Christmas dinner and confess your love to someone in your heart. Call us to reserve your candle now.